A little paper airplane won't hurt you, now will it? LOL, better be careful with these, they are strong and yummy, and taste like one more! 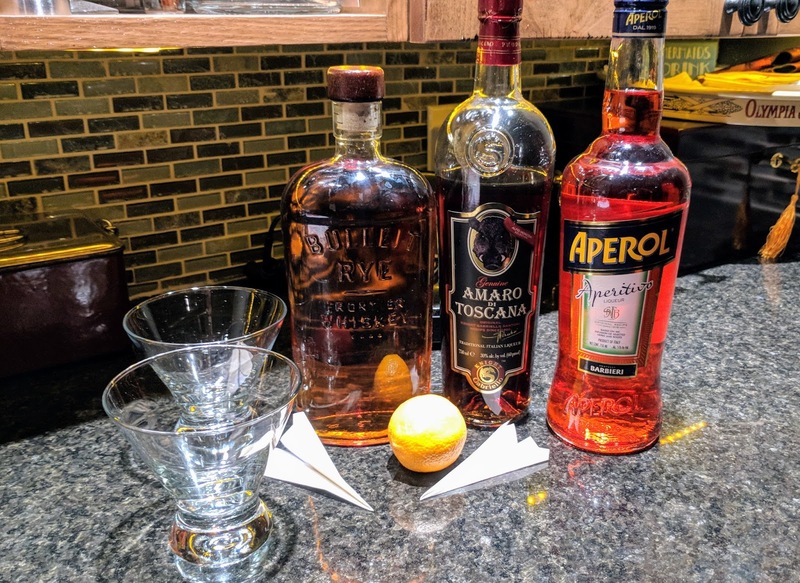 I had this cocktail first at the Amaro Bistro in Bothell, but apparently the Paper Airplane cocktail was invented about 10 years ago by a famous NY bartender, Sam Ross. It's said to "take the math out of mixing"- from the easy 4 equal measures. 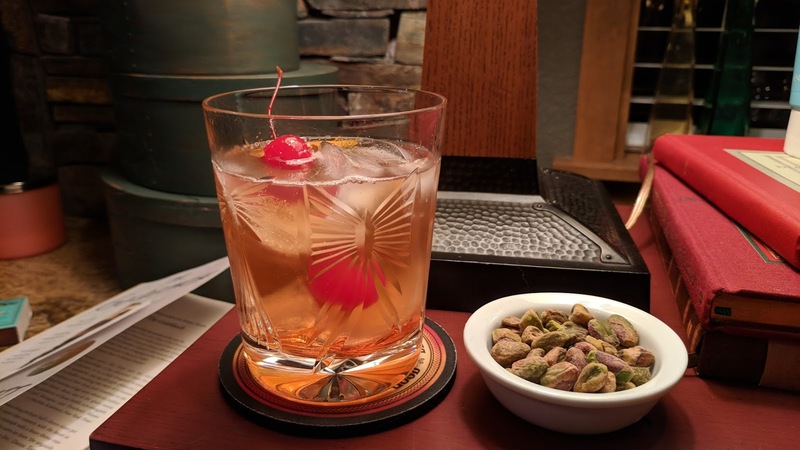 Kind of a whiskey sour with a wonderful herbal complexity of the amaro. 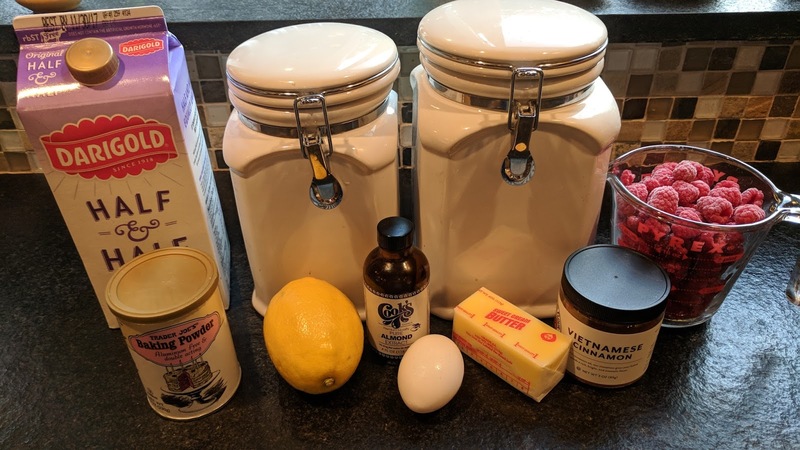 As you can see below, I squeezed two meyer lemons and got 2 ounces of juice, therefore, it was easy to add 2 ounces of each of the other ingredients (magic potions) to make a batch for two. In a shaker filled with ice, add all the ingredients and shake, shake, shake. 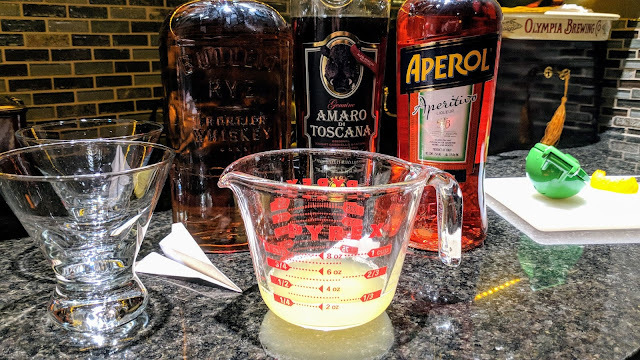 Strain into martini glasses and enjoy! Note: On first taste, my hubby said "it's pretty bitter", which is from the two types of amaro. Mixed with the whiskey and lemon juice it is the right amount of sweet, tart and bitter (and booze). On second taste, he said "it's totally fine". I agree, a paper airplane is totally fine. I've been a little remiss lately and it has been a couple months since I last posted. You know, sometimes has a way of getting in the way of things we like to do. We all get busy, but always remember to do the things that give you joy. LOL, that is blogging and making cocktails for friends and family too. This is the perfect time of the year to do that. 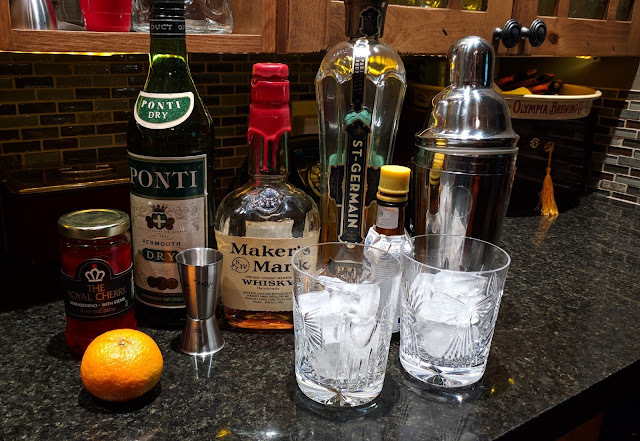 Manhattan's are always yummy, but this one has a great "light" twist by using dry vermouth and St. Germain. I highly recommend this one. 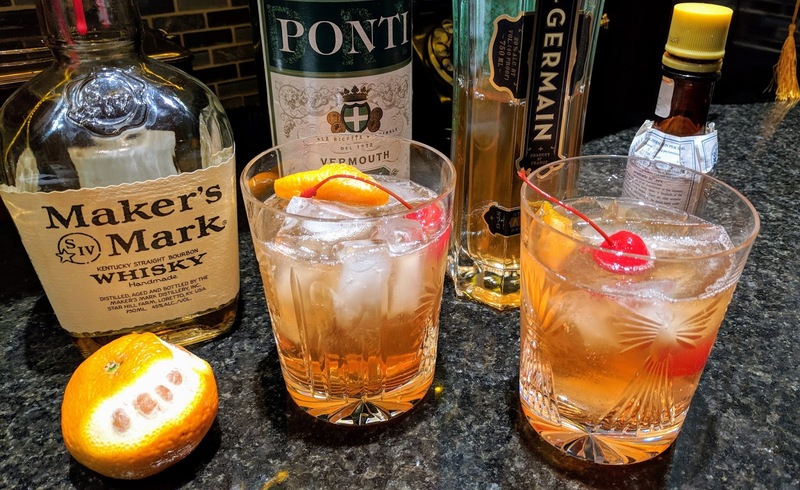 I intend to make some more of these, but I am going to have to head to the liquor store to pick up my single most favorite liqueur of all time, St. Germain. Have a safe and fun New Year's. I wish you health, happiness and joy in 2018. Garnish with maraschino cherry or orange twist and serve over ice, or straight up in a martini glass. This is a strong drink... so I like the way the ice mellows it. 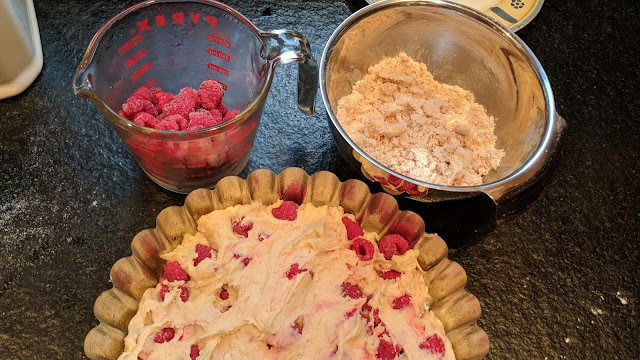 A friend recently came to my house bearing a jam packed gallon zip bag filled with fresh frozen raspberries from her garden. Wow! That is such a nice gift to get. I had to think on it... should I make jam, cake, what would be best? We had a co-worker with her birthday last week, so I whomped this up on Sunday night to be ready to celebrate Monday. Woo hoo, it's so fun to have a surprise! So while we couldn't celebrate her, however, we did make everyone else quite happy. 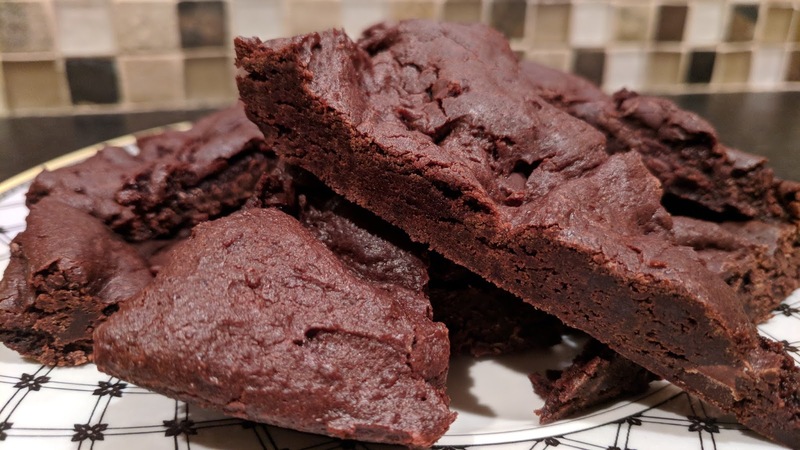 This recipe is very adaptable to other flavors and fruits, I might try thin sliced apples with some cinnamon, or blueberries, or heck, why not chocolate chips? When it's coffee cake, it is always good! I adapted from this recipe from Smitten Kitchen where she originally made this with blueberries. 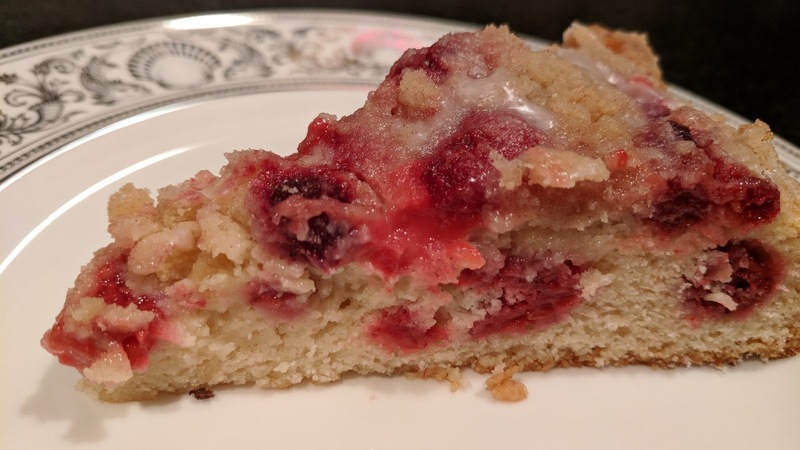 I mixed powdered sugar with a little cream and drizzled over the cooled coffee cake. In the morning, we had some yummy crunchy icing over the streusel, which was fantastically yummy. In a medium bowl, whisk flour, baking powder, and salt until combined. In a large bowl, beat butter, sugar and zest together until light and fluffy. Add egg and vanilla and beat until combined. Beat in 1/3 of the dry ingredient mixture until just combined, followed by 1/2 the milk; repeat with remaining dry ingredients and milk, finishing with the dry mixture. The batter will be very stiff, but don’t fret. 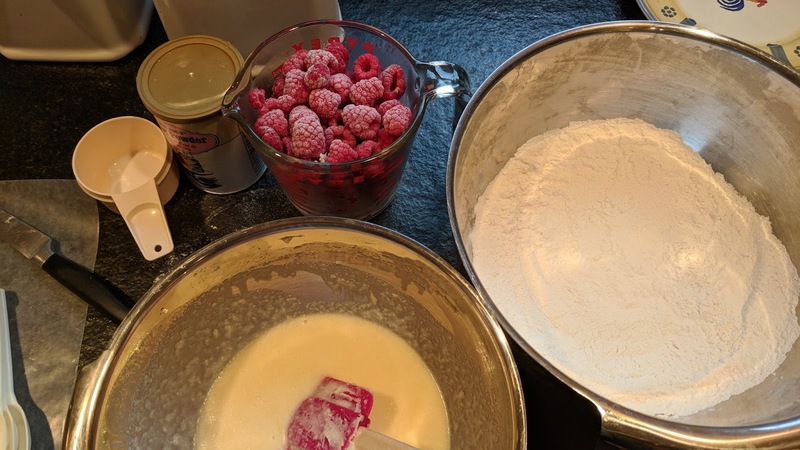 Fold berries into cake batter until evenly distributed. Scoop cake batter into prepared pan and smooth so that it is flat. If using walnuts, scatter them on top. 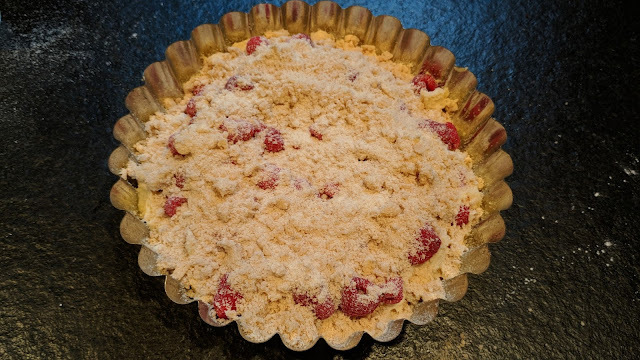 Sprinkle with prepared streusel. Bake in heated oven for 40-45 minutes, or until a toothpick inserted into the middle of the cake comes out batter-free. You can let the cake cool complete in the pan on a rack, or just cool it in the pan for 20 minutes before flipping it out onto a cooling rack, removing the parchment paper lining, and flipping it back onto a plate. Dust with confectioners’ sugar, if using. 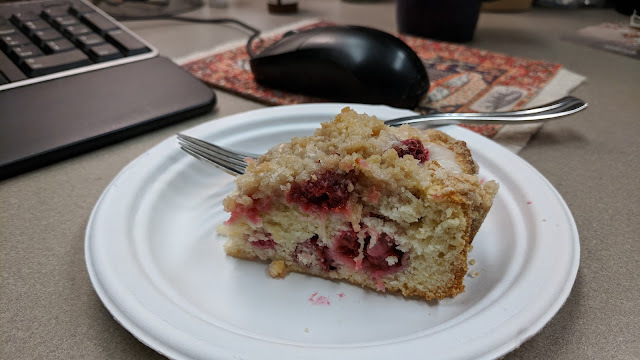 A little coffee cake is always a yummy thing to have when you're at work. Crunchy, sweet, savory and so healthy! Make up a bunch of this and enjoy it throughout the week. 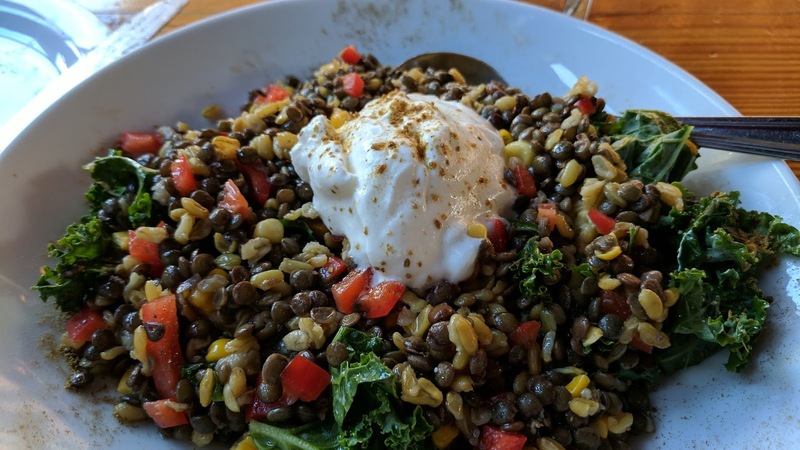 We had this salad recently at a great Greek restaurant in Vancouver BC (The Greek by Anatoli) and immediately loved it. Such a different assortment of flavors and textures, and very satisfying too. I just knew I needed to make it when I got home. I buy the Trader Joe's French Lentils regularly and love them. I used one full package in this recipe, which is about 2 cups. I used the last of the fresh corn, but I think frozen corn, or even canned (and drained) corn would work in a pinch. In full disclosure, the photo above is from our meal at the restaurant because I forgot to take a picture of mine! I made this for a family party of about 20 people and it was a big hit, and my sister asked me to blog it. My photo (if I had one...) would look a bit different....I forgot to buy kale.. so used fresh spinach instead (more people like spinach in my opinion). 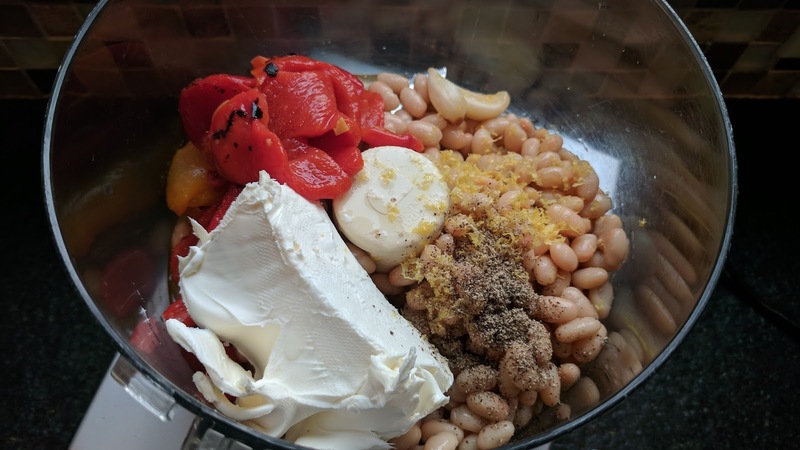 I also added the feta at the last minute, and I really think most dishes are improved by feta. In a saucepan over medium high heat, add all the lentils, salt and 4 cups of water. Bring to a gentle boil and then reduce heat to low simmer until they are cooked, about 30 minutes. They should be firm, but not hard. Drain and let cool. In a large bowl, add the diced bell pepper, the corn and the shredded spinach (or kale). Add the lentils, the olive oil, lemon and spices. Stir to combine. 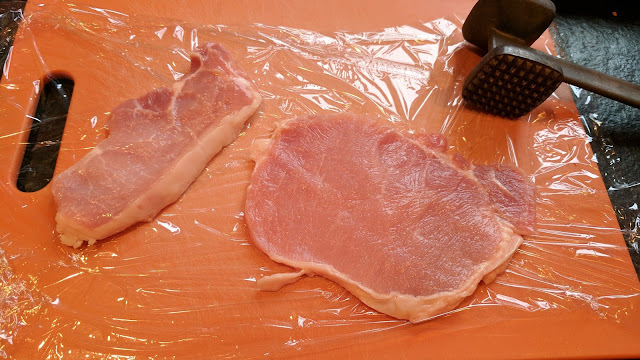 Adjust seasoning with more salt and pepper. Add feta and combine, sprinkle top with a bit more feta and a dollop of yogurt. Serve either chilled, or at room temperature. Fudgy delicious goodness baked quickly and easily in one bowl and a fry pan! This was in Cooking Light a number of years ago, and I finally got around to making it. 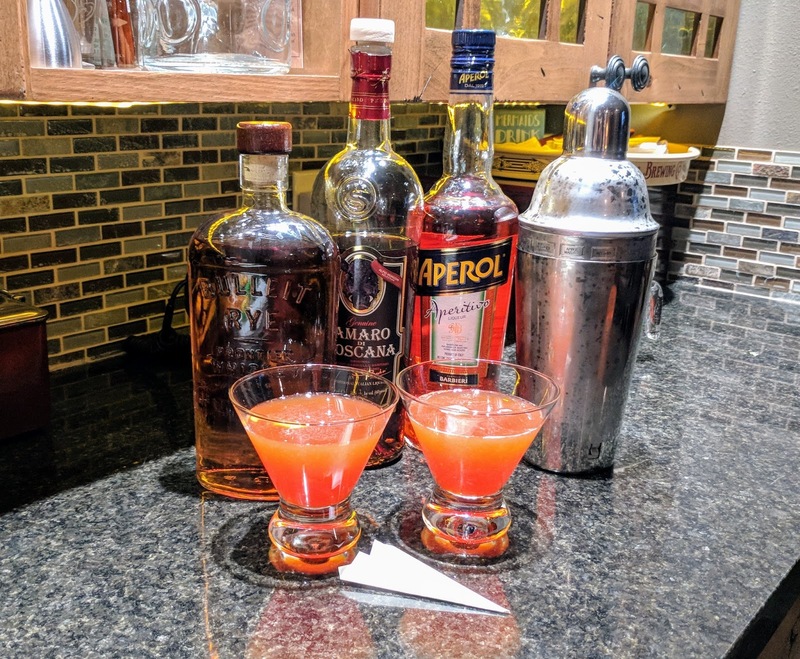 I have a very hard time believing this is really a "light" recipe (here's the original recipe here). 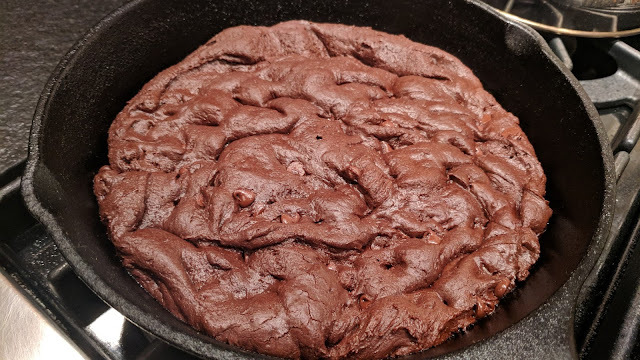 A couple of the original reviewers said this cookie was dry, but in my experience this was a luscious, moist brownie like cookie wedge. I had to let it cool thoroughly as it was too fudgy to serve. I do think this would be great scooped hot into a dish and topped with vanilla ice cream. I sent most of these to work with my hubby to give to one of the housekeeping guys at work who we love. The norm is to leave the treat on the office kitchen counter with his name on it, and he always gets it (and appreciates it). However, yesterday somebody took liberties with the cute Halloween container and ate about 2/3 of the cookies. I guess they thought they were up for grabs, but someone was powerfully disappointed. Luckily these are easy to make, so I need to whomp one up for him to replace the pilfered treats. Now these two guys have a system to stealthily communicate that the treats are hidden in the back of the fridge, LOL, I love their strategy... "the eagle has landed, i repeat, the eagle has landed"
Preheat oven to 350°. Combine semisweet chocolate, canola oil, and butter in a bowl. Microwave at HIGH 45 seconds, stirring occasionally. Stir in brown sugar, granulated sugar, and egg. Stir in flour, cocoa, baking soda, and salt. 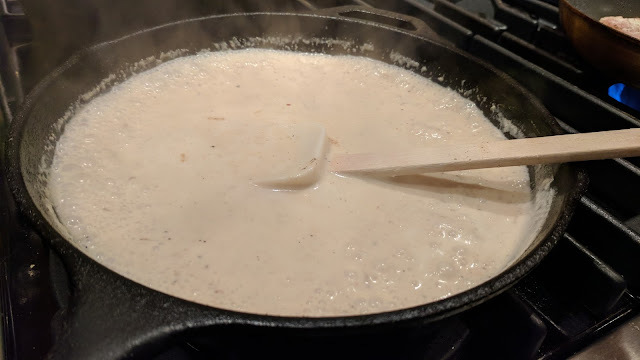 Stir in chopped milk chocolate. 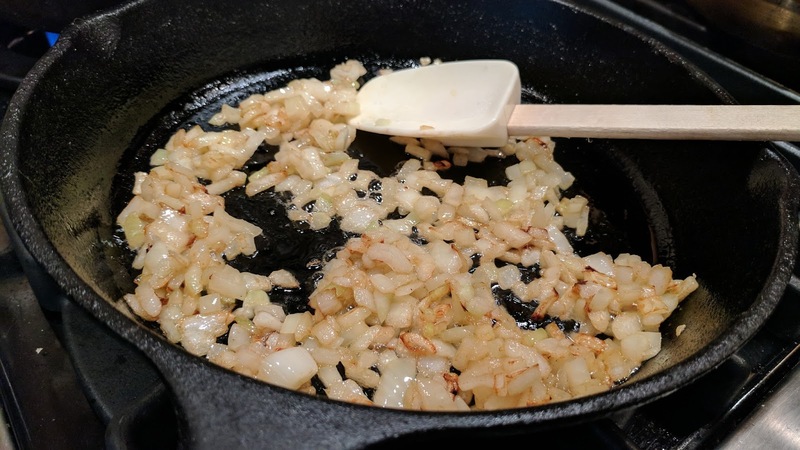 Scrape into a 10-inch cast-iron skillet. Bake at 350° for 19 minutes. It looks pretty doughy and soft here, but I let it cool completely and then cut into wedges. Everyone has their favorite city, but sometimes, you come to change your mind by having a city steal your heart. Munich is that city for me! 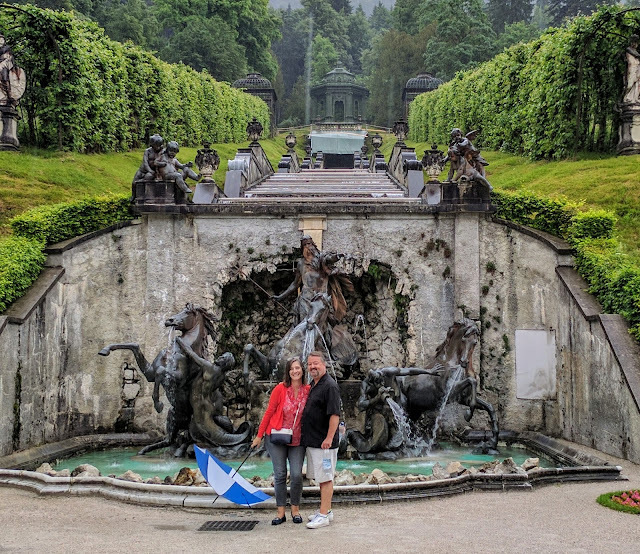 We started and ended our trip to Germany, Austria and the Czech Republic in Munich, so we got two wonderful doses of Munich. Our very last day in Germany, we spent with an all day tour guide to take the four of us friends around to see all the castles and sites we could. 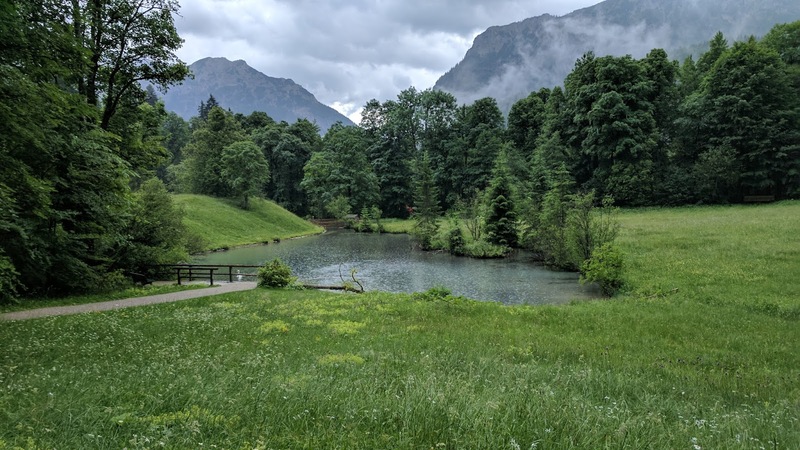 We'd purposely left this to the last day, as the second to the last day was spent at the concentration camp Dachau (which is an amazing experience) but we really wanted to end on a happy note. Our guide picked us up in Munich at our hotel and we were going strong for almost 11 hours. Whew, what a wonderful, tiring, spectacular day! 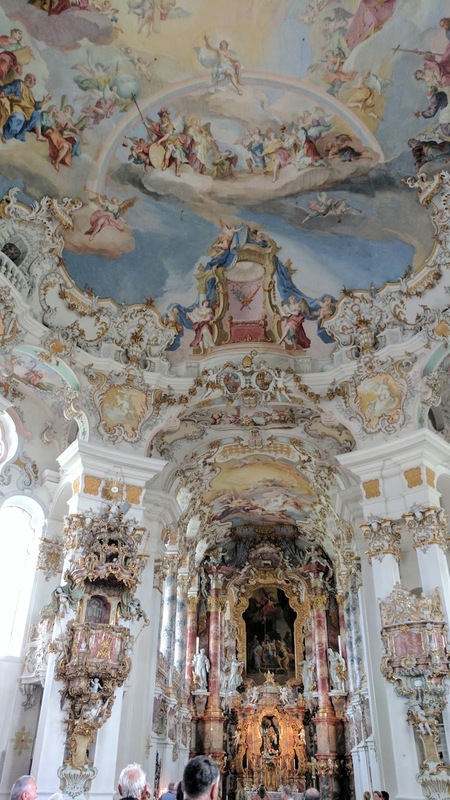 In case you are thinking of visiting Munich (Munchen), these are things that are close by the city that you could do by driving or by getting a driver. Neuschwanstein is the last stop of journey, but I wanted to lead with a very famous castle. (Below) Linderhof Castle- Ludwig's small private castle with beautiful grounds and fountains. You need to march up a wide path/road to reach his castle. I guess he really liked being alone best of all. Even his dining table was raised and lowered from below in the kitchen to his royal dining room so that he didn't have to see his servants. Below is a shot of the pond about halfway up. You can't tell in these pictures, but the heavens are going to open momentarily and drench up. The castle is in front of us (behind the person taking the photo) and overlooks some beautiful fountains, pools and gardens. Not a bad place to be alone! The fountain sprayed every 15 minutes. Strangely enough, I did not take any photos of the castle itself. It rained so hard while we waited for admittance number to be called (they take you in small groups by language) that we were laughing so much we didn't think to take any pictures. Inside the house, no photos are allowed. The castle itself is very much like a very large, very ornate manor house and not a castle in the humungous sort of way. Ettal Abbey, a Benedictine church started in the 13th century. Beautiful inside plus they make great beer there too! (below) Oberammergau- darling Bavarian village that is home to the "passion" plays, but honestly should be known for the cutest village in Germany. So many darling buildings, flowers galore and painted frescos on the outside of the cute houses and businesses. 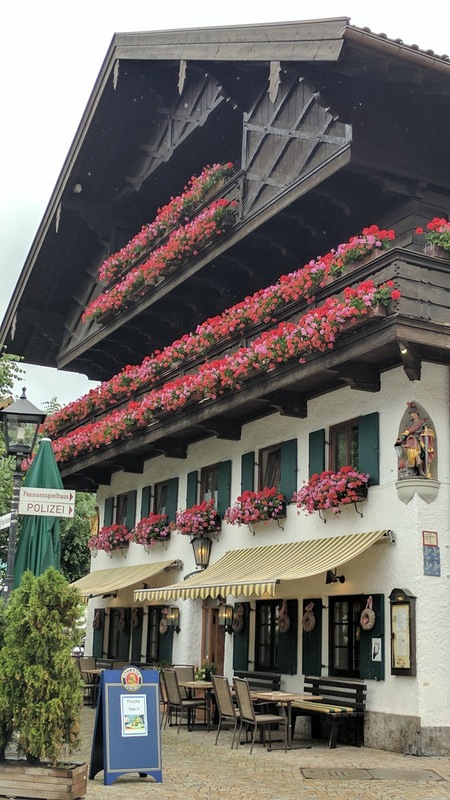 In Washington State, we have the "Bavarian" village of Leavenworth, which is one of my favorite places. 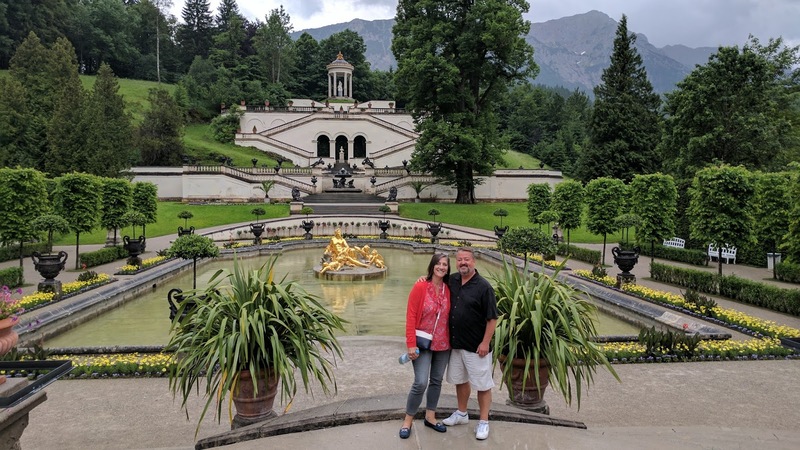 Oberammergau is Leavenworth on steroids! 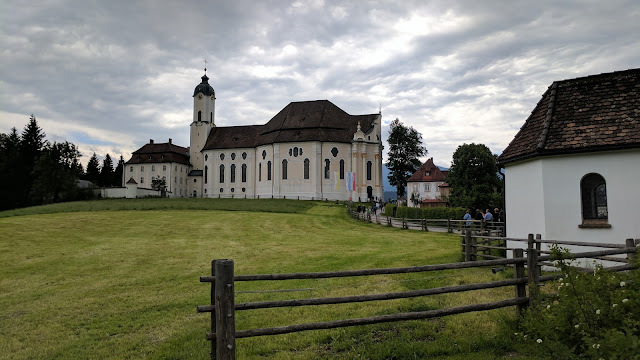 After the rain storm in Oberammergau, we drove through the countryside to what our guide called a "nice church". We parked the can and walked towards this white church seemingly in the middle of nowhere, it was very remote and besides a tourist restaurant there was almost nothing else near this church. Called Wies Church, is it a UNESCO site for an incredible Rocco style church. 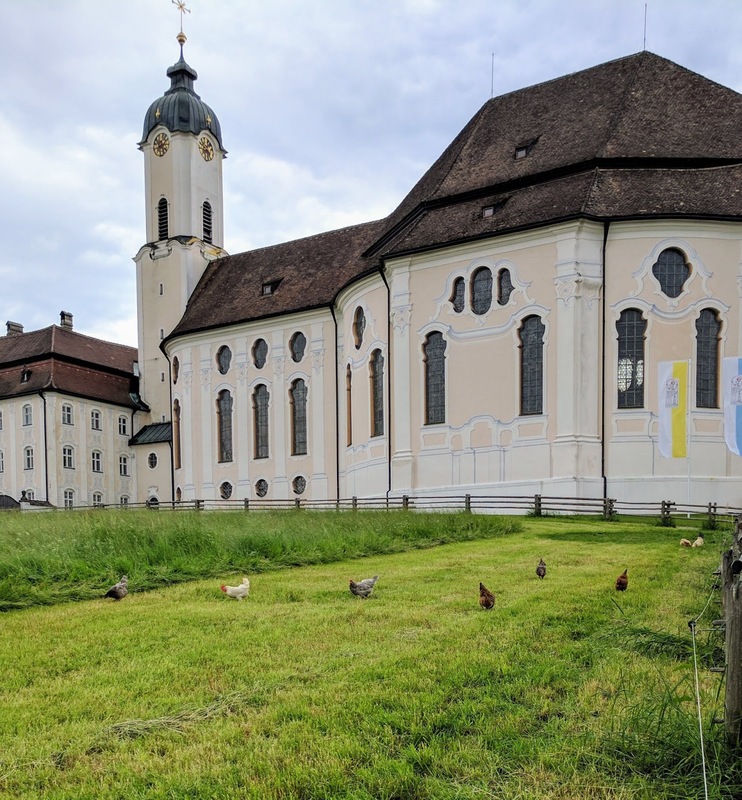 A bunch of chickens running around the church. Until you've seen Rocco in person, you cannot really appreciate Rocco, just sayin'! Next stop was lunch at a farm where they make great cheeses, on a hill overlooking a valley. The farm is called Schonegger Kase Alm, in Rottenbuch. They only retail their cheeses and meats at the farm, and there were a steady stream of people coming in to purchase, even though we were way out in the country. 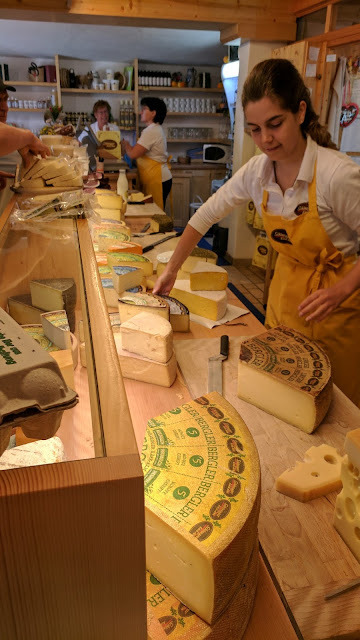 Everything looked great and we had a huge assorted platter of meats and cheeses for lunch, with some bread and local beer to wash it down. (Below) This is the view from our picnic table overlooking the valley with cow bells clinking in the distance. Happy little tourists stuffed with cheese and meat. 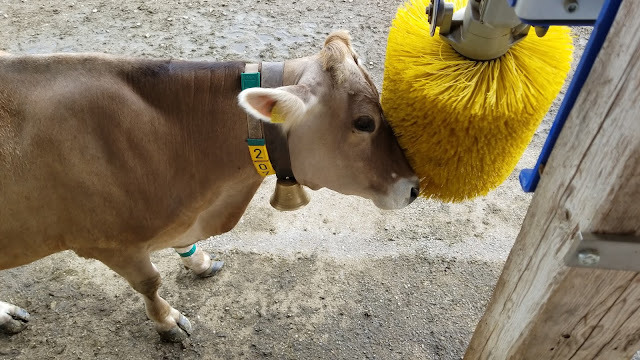 How about a cute cow scratching her itches? Last stop was Neuschwanstein castle- Ludwig's famous castle, he only lived there 6 months, so everything is is pristine shape. Get tickets/reservation ahead of time, it sells out. Plan for at least 3 hours, with an hour to get to the top, either walking or taking a tram. Crowds... but so beautiful. (below) Our guide suggested we stop before getting to the castle to get this picture. One of my favorites from our trip. DO NOT miss this overlook right at the end of the tour, nearest the restaurant and bathrooms. We just wandered out there and our jaws dropped. It's a quite small veranda with a spectacular view. I wish there had been enough time and space to get our photo taken in front of this. I guess I will need to go back. Right across from Neuschwanstein is Hohenschwangau Castle, the childhood home of Ludwig. What a view! 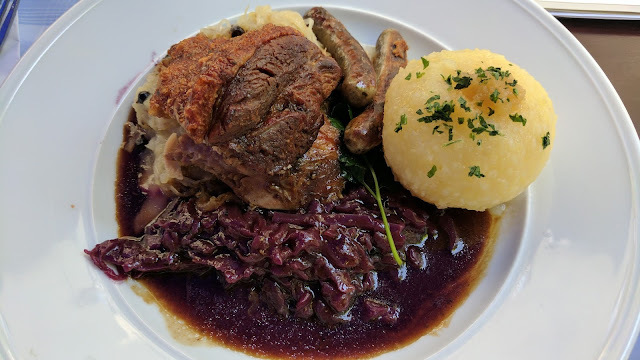 Here's some nice pictures of some German dinners. 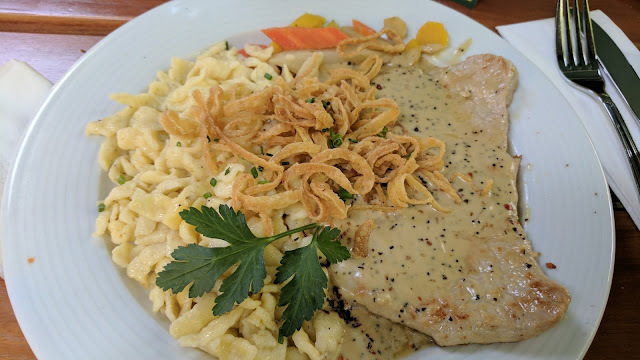 This might be my all time favorite meal from Germany, Pfefferschnitzel, or on other words, pork in a pepper cream sauce served with spatzle with cheese, oh and, topped with crispy onions. I had this at the Augustiner in Munich. 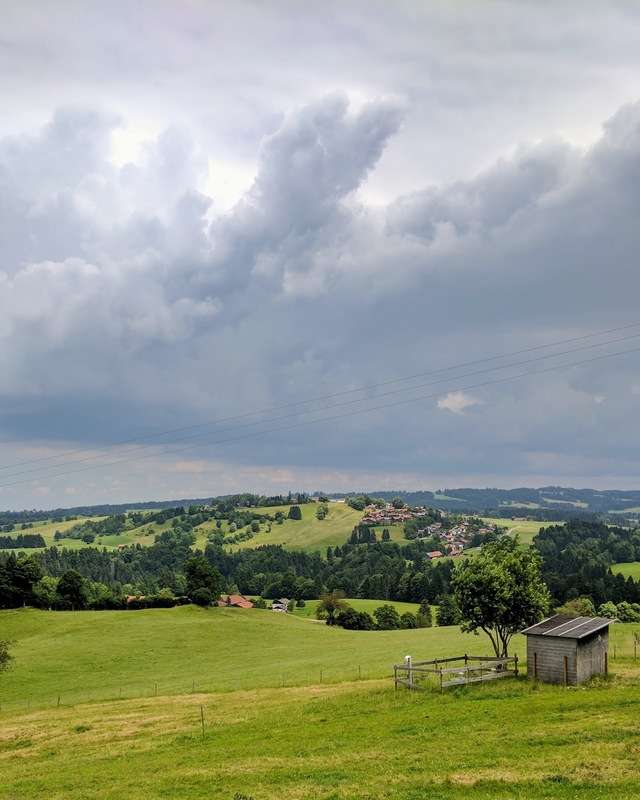 We were exhausted by the end of this marathon day of sightseeing, but it was a glorious way to see so much of the Bavarian countryside. 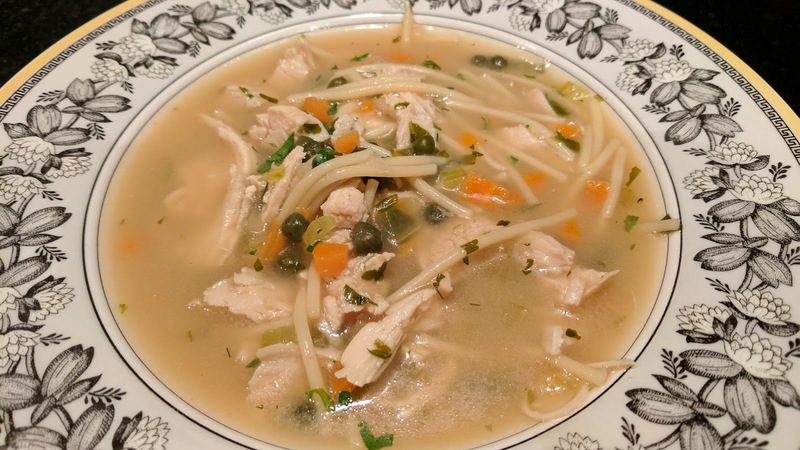 This soup has some of my favorite flavor combinations- chicken, capers, lemon! 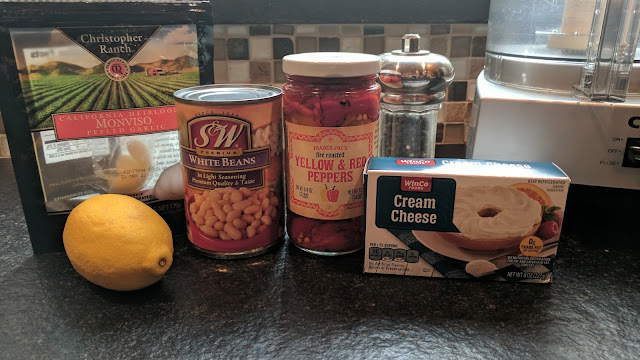 I also have to add this is a very simple and fast soup to make. But, you know, you need a soup like that, right? I didn't have already cooked chicken so I threw a raw chicken breast in the chicken broth, cooked it gently for about 20 minutes, let it cool and then shredded it. You could also used already cooked chicken, like from a rotisserie chicken too. Bring the broth to a boil, add the celery, carrots and onions. Cook for about 5-6 minutes on a low boil. Add the lemon juice, the capers and the broken spaghetti noodles, and continue to boil until the noodles are done. Add the chicken and parsley, bring back to temperature and serve! Taste for salt and pepper. 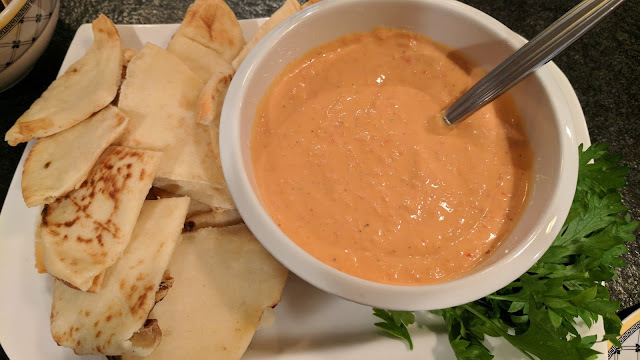 I read a darling blog post on Smitten Kitchen on how she and her "hubby to be" met, and it was over a dip! Call me a hopeless romantic, but I LOVE a story like that. Plus, I will admit, I love roasted peppers, beans and lemons, so hence, that recipe kept running across my mind. 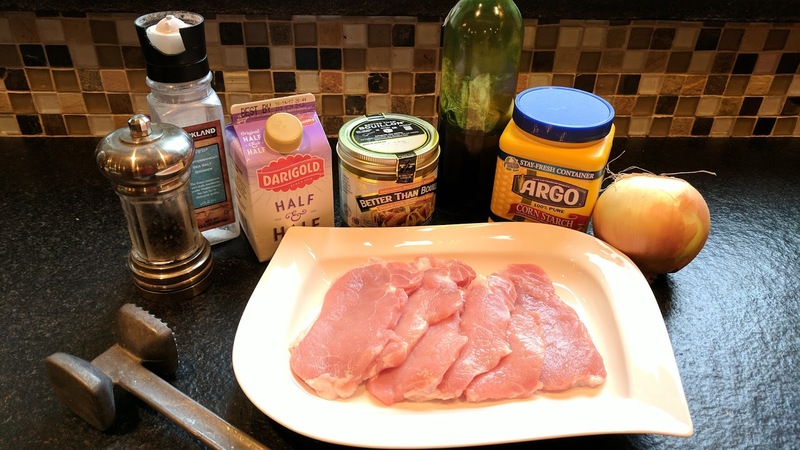 Since I am a somewhat lazy cook, I decided to "wing it" on the recipe for a recent last minute party I had at my house. Below is what I did, but if you want to compare, or read the darling post she wrote, here's the original posting that inspired me. Great with pita chips, fresh pitas or even tortilla chips. Put all ingredients in a food processor and blend until smooth. Chill until ready to serve. Make it as smooth as you can...Chill until ready to use. It keeps for about a week, but it shouldn't last that long. 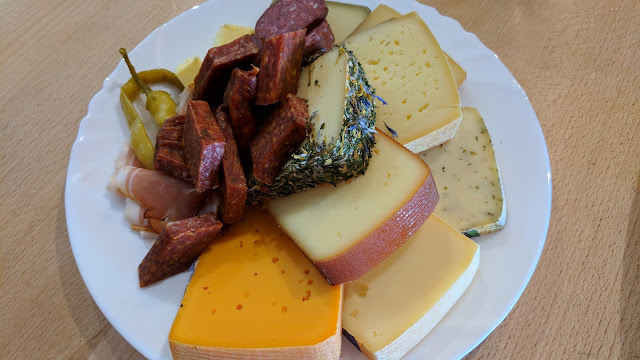 I had this dish on a trip we took to Germany this summer. Everywhere you go in Germany, there is schnitzel on EVERY menu. It's definitely the national dish! I was a bit tired of the fried version, even though it is delicious. 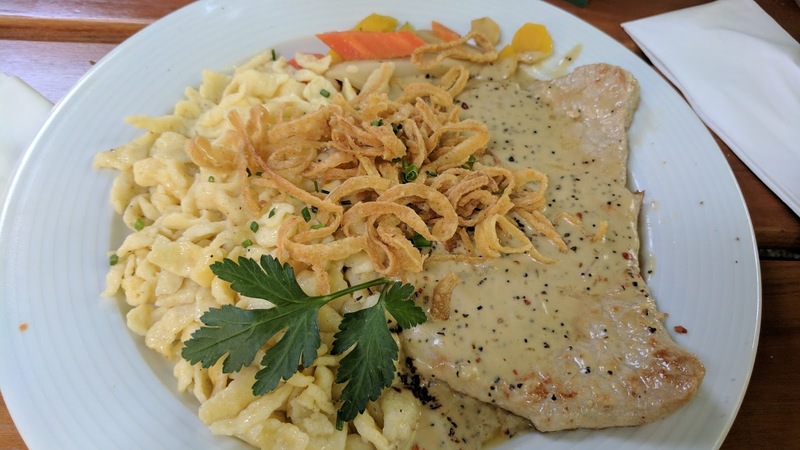 We had an outdoor lunch in the Augustiner Keller beer garden and I saw pfeffer schnitzel on the menu! I know enough German to understand pfeffer is pepper, which I love! This one was served with spaetzle and fried onions. Yum! I wanted to recreate this dish at home! So here is my first attempt, You could use chicken, turkey or veal instead of pork, but do get the thinnest cut of meat that you can, and then pound it to a uniform thickness under 1/4 inch. Getting it thin and tender is the keep to this dish. Traditionally, it would be served like pictured to the left, or even with red cabbage and potatoes. We had ours with broccoli, as I felt a bit more green needed to be involved here. Certainly not traditional, but definitely more healthy. As a note, I used half and half instead of whipping cream, but I do think that whipping cream would have tasted more traditional. With a meat mallet and some plastic wrap, smack the meat until it is a uniform thickness of less than 1/4 inch. If you don't have a meat mallet, you could use an empty wine bottle! 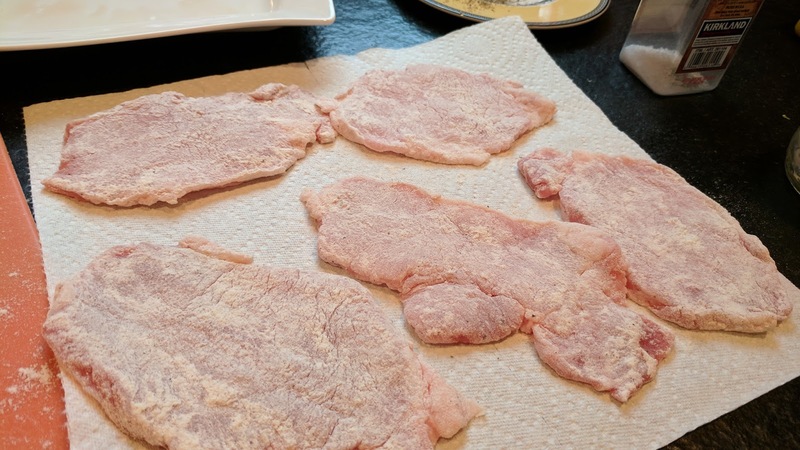 Lightly dredge the pork in flour, shake off excess. Saute the onions in about 1 tablespoon of oil until golden brown. Deglaze the pan by adding the chicken broth and bring to a boil. Turn the temperature to medium and add the cream, stirring to combine. 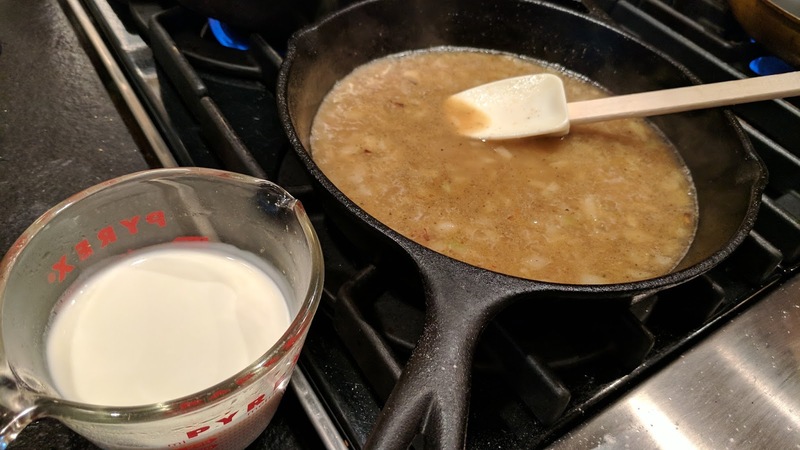 Add the cornstarch to a small amount of water and mix thoroughly, add to the broth/onion/cream mixture. Add the pepper, and salt to taste. 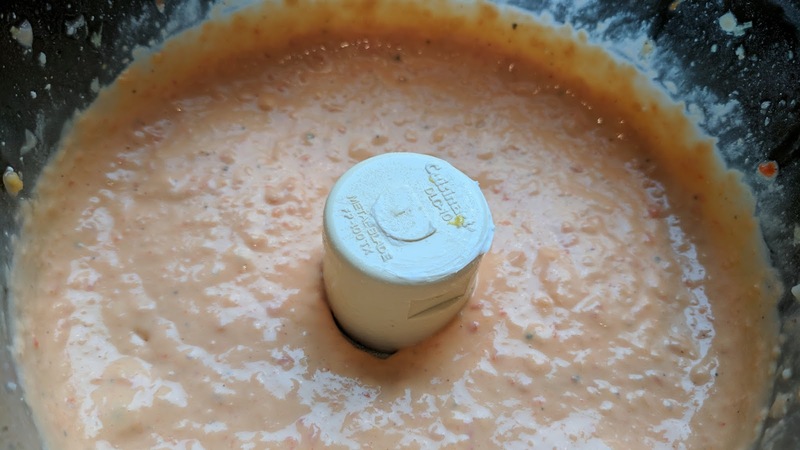 Keep sauce warm while you fry the pork cutlets. Keep sauce warm while you fry the pork cutlets. 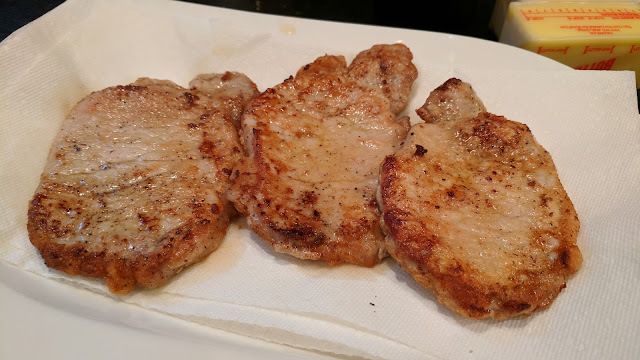 In a non-stick pan over medium high heat, add a bit of oil and fry the pork cutlets for 2 minutes per side, letting them get a little bit brown on the edges. 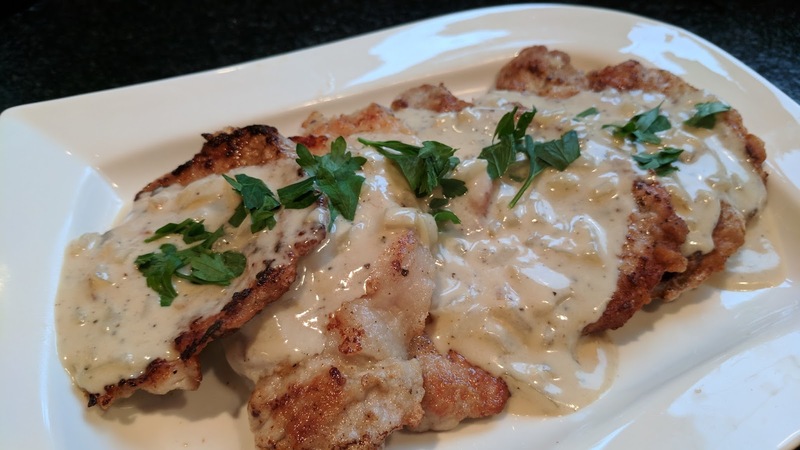 Cover the cutlets with the sauce and serve at once. Here's a little shot of us eating lunch in the beer garten!